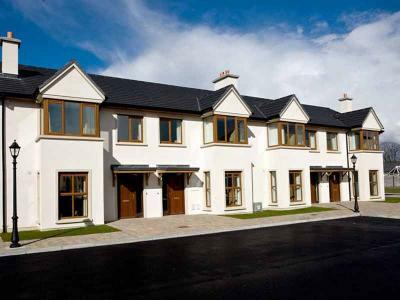 Our self catering Holiday Homes offer a fantastic family getaway breaks, midweek or weekend breaks in Dungarvan. Fungarvan - Ireland's best kept secret offers many excursions to choose from including walking tours, cycling tours or even just a trip to the beach or local park. Included in your stay is full use of the leisure facilities in the hotel. Enjoy 7 nights in our luxury self-catering holiday homes, located on the grounds of The Park Hotel in Dungarvan, Co. Waterford. 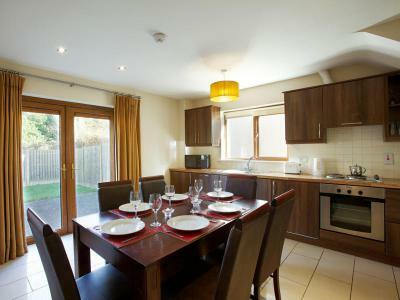 The holiday homes are fully furnished with a fully equipped kitchen, utility room and sitting-room. All of our houses sleep 5 adults comfortably with a double, twin and single bedroom in the 3 bedroom houses, then a double and triple room in the 2 bedroom houses. Each house has a fully enclosed back garden. The holiday homes are on the grounds of the hotel and all houses have complimentary Wi-Fi access. There is also complimentary on-site car-parking. Guests in the holiday homes have inclusive access to our leisure facilities (i.e. 20 meter swimming pool, bubble pool, sauna and gym). Why not avail of the Hotel facilities - our Meladon Bar has entertainment on selected nights. The Garden Room Restaurant serves breakfast from 7.30am – 10.00am, Evening Meals are served from 5.30pm -9.30pm. Booking fee is taken at the time upon booking. Non refundable deposit of 20% will be taken when we receive your booking. A member of our reservation team will contact you to take that payment. 50% charge of total bill for cancellations 28 days prior to arrival. 100% charge of total bill for cancellations within 14 days of arrival. Gas & Electricity is charged at an additional rate of €7per day. Check in time from 4.00pm. Check out time 10.00am. Please note if you will not specify in comment box which house you prefer you will be allocated either 2 bedroom or 3 bedroom house. Both houses accommodate 5people therefore price is the same. Enjoy 6 nights in our luxury self-catering holiday homes, located on the grounds of The Park Hotel in Dungarvan, Co. Waterford. The holiday homes are fully furnished with a fully equipped kitchen, utility room and sitting-room. All of our houses sleep 5 adults comfortably with a double, twin and single bedroom in the 3 bedroom houses, then a double and triple room in the 2 bedroom houses. Each house has a fully enclosed back garden. The holiday homes are on the grounds of the hotel and all houses have complimentary Wi-Fi access. There is also complimentary on-site car-parking. 20% Non Refundable Deposit is taken at the time of booking. Enjoy 5 nights in our luxury self-catering holiday homes, located on the grounds of The Park Hotel in Dungarvan, Co. Waterford. The holiday homes are fully furnished with a fully equipped kitchen, utility room and sitting-room. All of our houses sleep 5 adults comfortably with a double, twin and single bedroom in the 3 bedroom houses, then a double and triple room in the 2 bedroom houses. Each house has a fully enclosed back garden. The holiday homes are on the grounds of the hotel and all houses have complimentary Wi-Fi access. There is also complimentary on-site car-parking. Enjoy 4 nights in our luxury self-catering holiday homes, located on the grounds of The Park Hotel in Dungarvan, Co. Waterford. 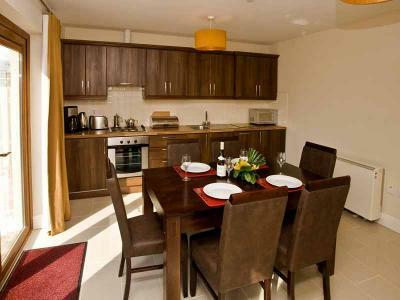 The holiday homes are fully furnished with a fully equipped kitchen, utility room and sitting-room. All of our houses sleep 5 adults comfortably with a double, twin and single bedroom in the 3 bedroom houses, then a double and triple room in the 2 bedroom houses. Each house has a fully enclosed back garden. The holiday homes are on the grounds of the hotel and all houses have complimentary Wi-Fi access. There is also complimentary on-site car-parking. **Booking fee is taken at the time upon booking.